180XL037 SYNCHRONOUS TIMING BELT. Synchronous belt 180XL 037. 90 Teeth, 18" Length OC. Width = 3/8". 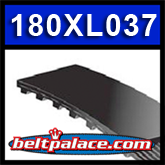 180XL-037 BANDO USA's Neoprene constructed synchronous industrial timing belts are excellent to replace 180XL-037 OEM belts for office machines, machine tools, pump motors, carpet extractors, postage equipment, sewing machines, vending machines, agriculture, outdoor power equipment, food processing, HVAC, oil fields, wood, paper, sand/gravel machines. 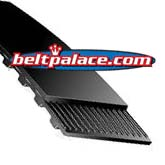 Clark ErgoEX carpet extractor belt 180XL 037. 180XL 031 Timing Belt. 18 inch length, 90 Teeth, 5/16 inch width. 180XL-031 Synchronous Timing Belt.